The magnification of dilution is not restricted. You can purchase from 1kg. We can supply quickly because of basic stock. 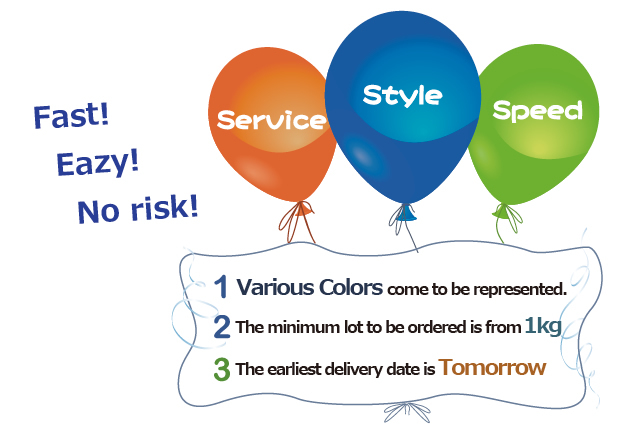 We can respond to your expected choice for the delivery. UNIMASTER "standard 8" and "imairu 10" which Sanyo-Kako provides, are one of Master Batch that is not necessary to have inventory control for us. And they consist of eight colors for POM and PBT which have potentiality to adapt small amounts, and ten colors for PA.